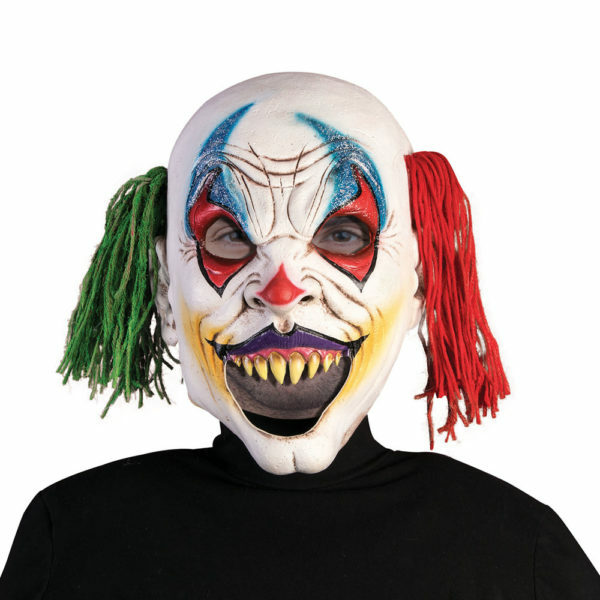 Full over head latex clown mask with coloured hair. The mask has blue and red made up eyes with glitter and the mouth has pointed teeth with the rest of the mouth being open. A very nasty sight indeed.